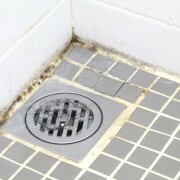 Mould likes to grow in damp and poorly ventilated bathrooms. Mould (a.k.a. mildew) is a kind of fungi that spreads via spores. Once it finds a damp, warm spot it likes to grow and build little colonies. Ew! – it can become a health hazard. If the mould is growing on the walls or ceiling, it’s usually pretty easy to clean off. Scrub it with a strong solution of trisodium phosphate (a.k.a. TSP, found in most hardware stores) and water. Then go back and scrub the really bad areas with chlorine bleach. Let that sit for an hour and then rinse thoroughly. After the walls and ceiling are clear of mould, you may want to repaint. Be sure to buy a primer and paint with a mildew resistant latex top coat (ask your paint store experts for help). If the mould is growing in the silicone grout between your shower and tub, no amount of cleaning will bring that dark stain back to white. Once the seal begins to get mouldy, it goes all the way through and needs to be replaced. Remove the old seal, scrub the area with a bleach and water solution (half water, half bleach), and let it dry completely. 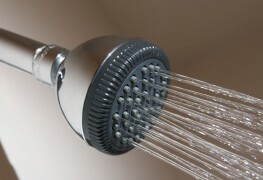 Be sure to replace the seal and let dry 24 hours before you use your shower. You don’t want the seal to get loose, develop and grow more mould. Once you’ve put in the time and effort to remove the offending mould, take the necessary steps to keep it away. 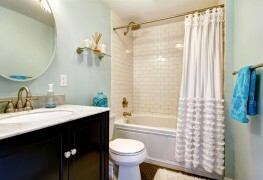 If you have mould in your bathroom, it means you have poor light and ventilation. Here are a few tips on how to improve that state of affairs. If there’s a window, keep it open as much as possible to let out shower steam. If you have curtains or blinds on the window, they may be trapping in moisture. Remove them. If privacy is an issue, cover the windows with an opaque film to cover the glass (most door and window stores have this). Keep the door open when showering to let steam escape. If there is a ventilation fan, keep it on. If there’s no ventilation fan, consider bringing in a small portable fan. 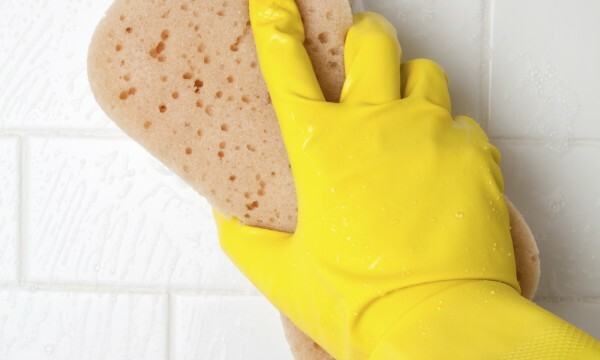 Get a shower squeegee to remove excess moisture from the walls of your shower and shower door. 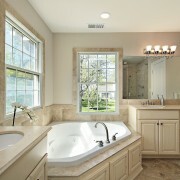 Replace shower curtains and liners regularly. – places where mould tends to hang out.